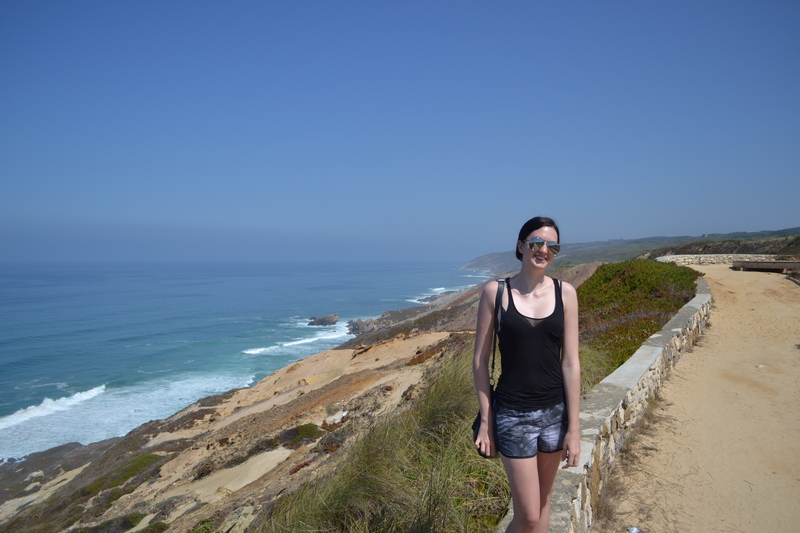 Porto and Lisbon were our two main destinations in Portugal, but between them was a drive which needed breaking up with a night somewhere else. 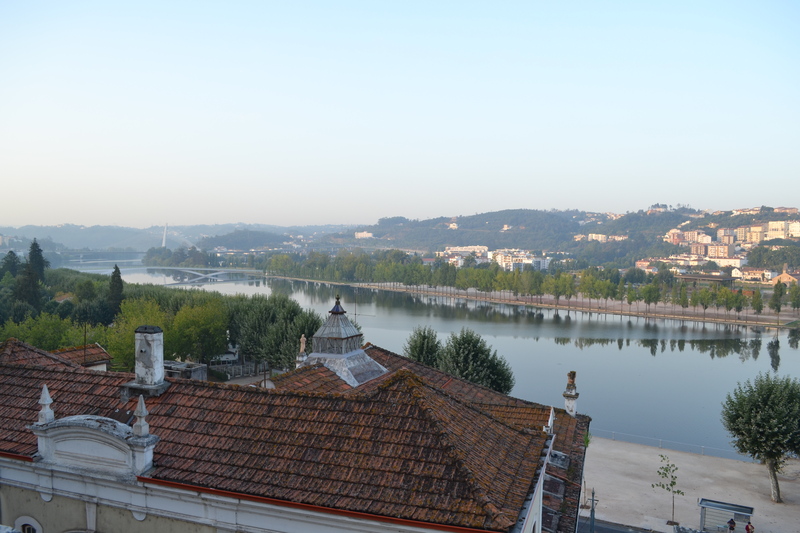 So we went to Coimbra, Portugal’s third-largest city, previous capital and site of one of the oldest universities in Europe. The first thing we noticed about Coimbra was the heat: it was over 40 degrees when we arrived, although I wasn’t paying this much attention at first because the GPS had taken us on a fairly ridiculous route through the very narrow, very steep university campus on the hill in the middle of town, rather than along the nice two-lane road which ran around it. 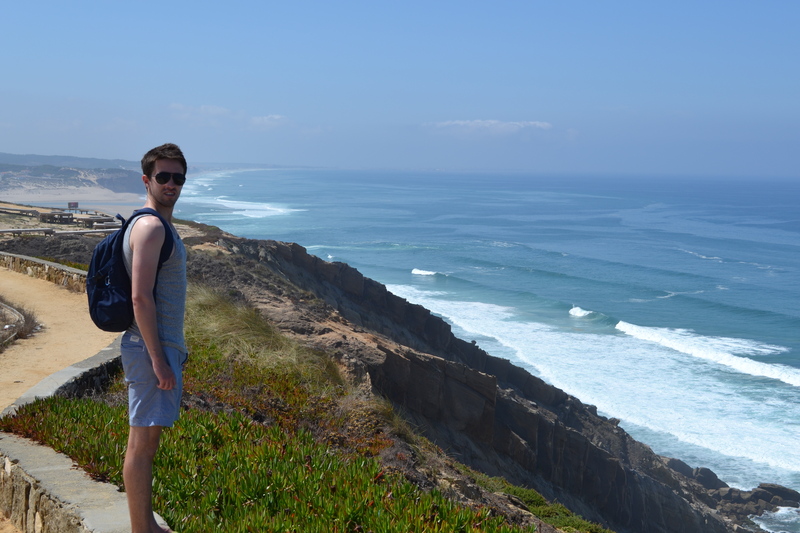 But once we parked up to look for the hotel – boom, it was like opening an oven. Hotel found, it turned out that it did not have any space for parking (despite parking being advertised). The nice old guy on the desk directed us to a ‘free’ lot a couple hundred meters away over the river. ‘Free’, because while it technically cost nothing to park there, there were two gypsies who had taken it upon themselves to direct each car into blatantly obvious parking spots and charge a euro for this service. We decided to pay anyway, since we were leaving the car in their dubious care overnight. (It was perfectly fine the next morning). 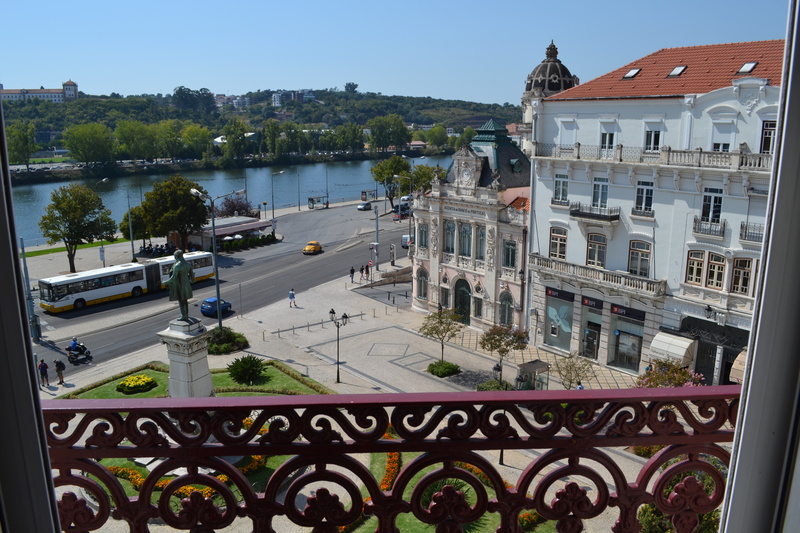 Coimbra itself was decidedly pleasant, if nothing overly special. It had a very relaxed feel, the food was nice and fairly cheap, and the cold beer very welcome in the heat. However, after dinner we were lucky enough to come across something quite memorable: a fado performance. Fado is a type of Portuguese music, played simply with a singer accompanied by guitars, and it is characterised by being very mournful. Our experience was in a renovated old church, and cost nothing at all (which was pretty remarkable). There were two guitarist and one singer on a stage lit by candlelight, all wearing the traditional university cloak, and the music they made was just outstandingly good. While we obviously couldn’t understand the words, the singer’s voice was amazing, and the guitarists very skilled; the mournful spirit of the songs came through very clearly. 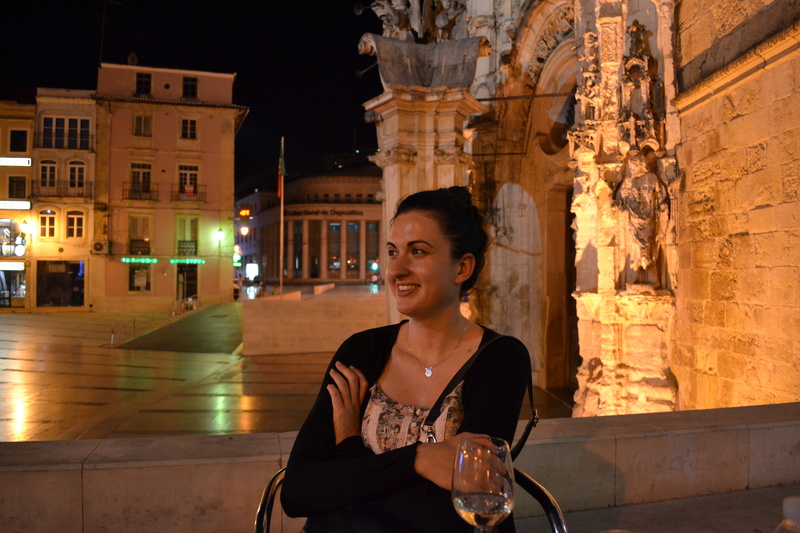 Fado is definitely something to look out for, for anyone else ever in the area. (Note: I was pretty exhausted after a few days of long drives and a lot of excitement, and so after a little while I started to do what I do best when I’m tired – fall asleep while sitting up. Bridget found this totally hilarious, and kept prodding to laugh at me noticably jerk back into being awake. This definitely wasn’t a reflection of the music, though, and Bridget tells me that the bits I missed while dozing were just as good). (Bridget’s note – no, waking Alex up was not to laugh at him, it was to not have to sit next to a person who fell asleep one song in to a performance). 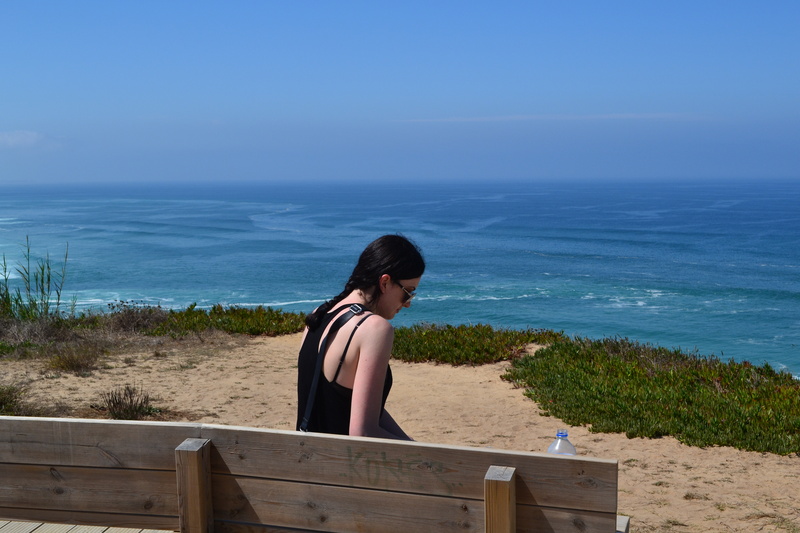 Along the way to Lisbon the following day we stopped for a picnic lunch with a view – a cliff top above a beautiful surf beach, looking out over the Atlantic ocean. 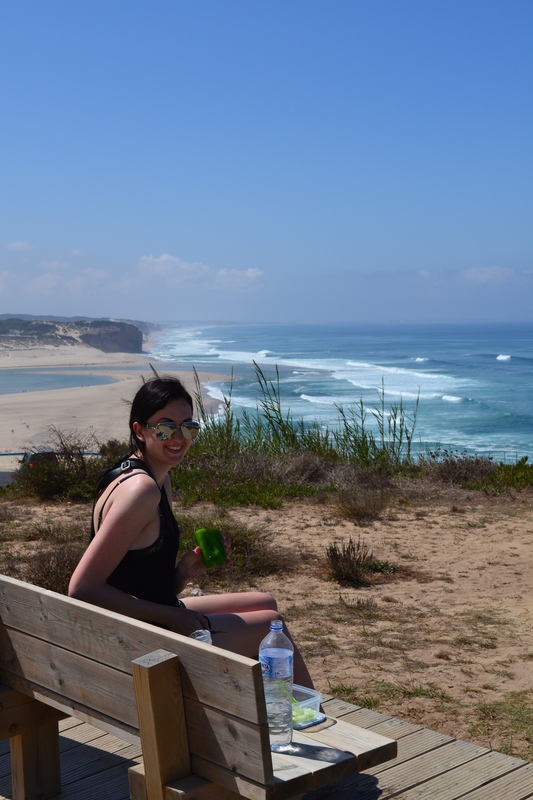 We’d bought ingredients for a salad that morning in Coimbra, and after a week in meat-loving Spain and Portugal, I think that despite the spectacular location the highlight for Bridget that trip was probably getting to eat a cucumber.